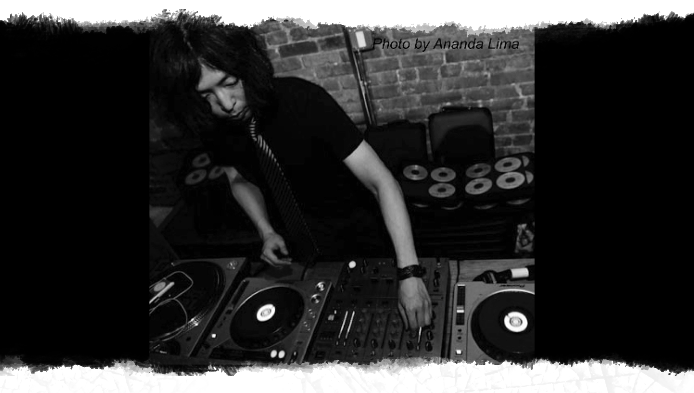 Originally from Tokyo moved to NYC in 88' and he spent much of his time at NYC nightclubs such as Tunnel, Palladium, Nell's, MK, Rex, The World, Red Zone, Sound Factory, Glory, Choice, Big House, Cafe Society, La Palace, and so on. In early 90's, he established himself as a NYC DJ with 5 year residency at the legendary night club; Nell's, which was visited by many celebrities such as Madonna, Prince, Grace Jones, Hugh Grant, Queen Latifah, Mike Tyson, Samuel L. Jackson, Damon Wayans, Enrique Iglesias, Christina Aguilera, and the list went on. Also, the club was featured in various music videos and mentioned/featured in the movies like; American Psycho (feat. Christian Bale), Rounders (feat. Jon Malkovich, Matt Damon, Edward Norton, and so on). Over the years, he worked with many key players; club owners, managers, and promoters, in NYC Club Scene who run Studio 54 (Original), Palladium (Original), Club USA, Kit Kat Club, China Club (New), Life, Lotus, Restaurant 147, Discotheque, BLVD, Wonder Bar, etc... Time Out Magazine called his residency at Decade Night Club, “The Best Sexually Mixed Party in NYC.” Another high lighting residency was at BLVD; which was also mapped as one of the biggest upscale parties in NYC. In recent years, he had successful events at Pianos and made an official line up at Halcyon for Output. In 2018, he made the lineup for TBA Brooklyn. Specializing Format: House Music, Disco Classic, 80's Dance Music / Free Style, Classic House, Afro-Beat, Nu-Jazz, Jazz, Lounge Music, Old School Reggae / Dance Hall, R&B, Old School Hip-Hop, etc..